Archive for the ‘Essential Oils’ Category. At The Institute of Chiropractic and Acupuncture Therapy we recommend to many of our patients that they use Essential Oils to compliment other holistic therapies that they receive at our clinic and that they do on their own at home. Chiropractors know that when adjusting the body it is important to work on relaxing the muscle tissue. At The Institute, we use percussion massage with most of our chiropractic treatments . Therapeutic grade essential oils may also be recommended for home use and have the following benefits: increase circulation, decrease soreness and discomfort, and calm and relax muscle tissue. Essential oils can decrease pain levels, increase relaxation, and can assist the chiropractic adjustment in helping the body heal faster. The chemical structure of essential oils allows them to be absorbed into the bloodstream via the skin for internal benefit throughout the body within 30 seconds of application. Essential Oils have been used for more than a thousand years for countless health problems and conditions as well as for use in daily living (cleaning, perfumes, etc.). 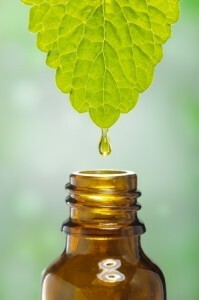 Essential oils can have a tremendous effect on the mind and body with a very small dose and very few side effects. Essential Oils Class This Week! Please join us for our Health Class on Essential Oils, this Thursday, November 12 at 6:45 p.m. at our clinic. Our Essential Oils class is FREE and everyone is welcome, however please call 801-567-0557 to reserve your spot as space is limited. 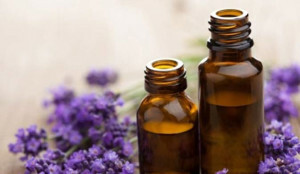 Learn about Essential Oils: What Essential Oils are, How Essential Oils affect the body, Considerations for use of Essential Oils, Types of Application of Essential Oils, and much more. Essential oils have been used for more than a thousand years for countless health problems and conditions as well as for use in daily living (cleaning, perfumes, etc.). Essential oils can have a tremendous effect on the mind and body with a very small dose and very few side effects…. For more information on essential oils please CLICK HERE. 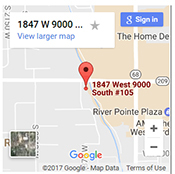 Category: Essential Oils | Comments Off on Essential Oils Class This Week!